Before she was a giddy aunt, Chief Giddy Aunt Nikki Johnston was a Fairy Queen. Really. She was. Long, long ago, last century, Nikki started one of the first fairy shops in Queensland, Fairies on the Downs , was called Fairy Queen NikkleTikkle and wore wings to work. 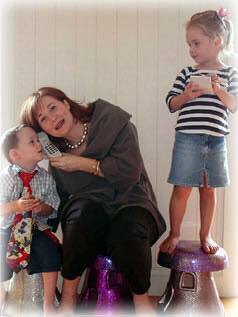 However Nikki wasn't always a Fairy Queen; she has worked in children's theatre, written children's books, told stories and taught preschoolers and adults. 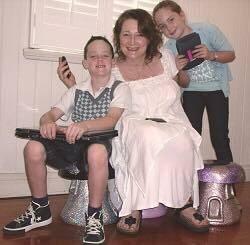 She has also worked and volunteered for Australian child health and safety charities. Her life has been a mix of the important things in life; education, child protection and health, with the other important things in life; fairies, story-telling and sparkly jewels. 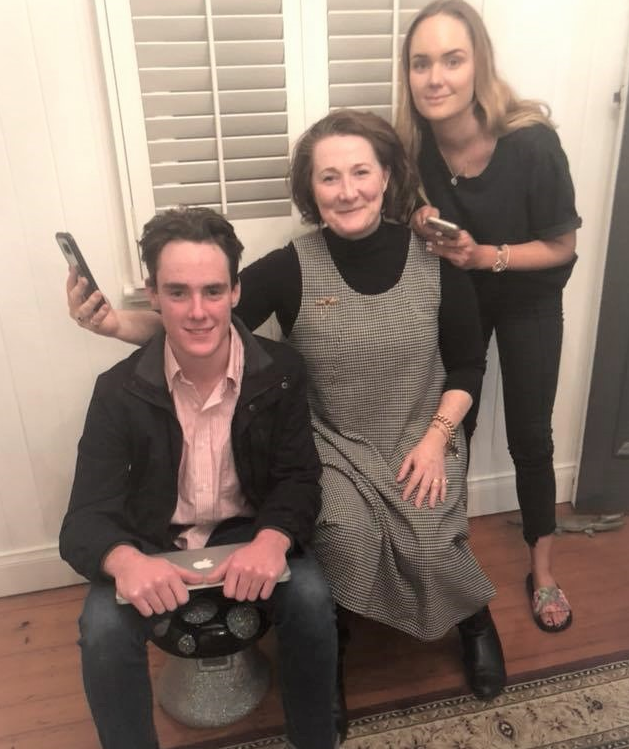 The unifying theme has been making a change, understanding and connecting through our stories. 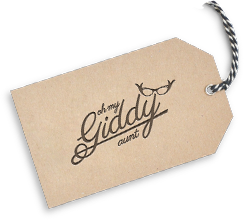 These days, Chief Giddy Aunt Nikki designs the original Oh My Giddy Aunt Jewellery, works with other designing artists and elves, and sources traditional keepsakes for the collection. CGA Nikki loves bringing ideas to life: she has been doing it for a very long time. She is pictured here with one of the first recorded examples of very early Giddy Jewellery Design. To the untrained eye it may look like an off-cut piece of plumbing pipe, but to a very young Giddy Aunt, it was a truly glamorous bangle specially designed for the grand occasion of a first school photo. 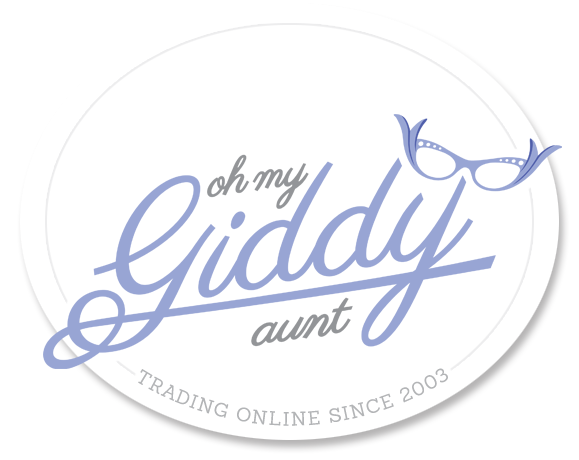 Since starting online in 2003, Oh My Giddy Aunt, the collections and the inspirational niblings (nieces and nephews) have grown and grown and grown, but there will always be room for more!